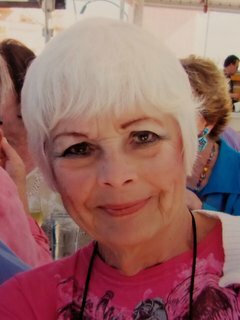 Patricia Armitage (nee Workman), age 88 passed away Tuesday, November 20, 2018 at Avon Hospital in Avon, Ohio. She was the beloved wife of Neville; dear mother of Jeffrey (Beth), Kathryn (Louis) Poland, Laura (Michael) Georgantos and Matthew (Catherine); grandmother of 11; great-grandmother of 1; daughter of the late Guy and Helen Workman. A memorial service will be held at 4:00 PM Saturday, December 1, 2018 at Avon Lake United Church of Christ 32801 Electric Blvd. Avon Lake, Ohio. A light dinner will be served at the conclusion of the service. My sincere sympathy to the family of my beloved sister-in- law. Pat will be missed by all of us who loved her beautiful smile and happy laughter. Our deepest and heartfelt condolences to our dear neighbor Nev. may God grant you peace of mind knowing that dear Pat is in heaven. Our thoughts and prayers are with you. I will always remember Pat as a dear friend and neighbor. Always a smile on her face and so good natured! My heart goes out to you, Nev.